A noble crest design and frame in faux silver glitter signifies the importance of your 25th anniversary celebration. Your photo appears within a coordinating frame on the back. Your wording is printed in your choice of colors and fonts. 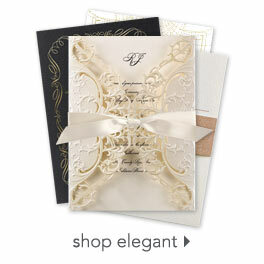 Invitation includes outer envelopes. The invitations were just what we were looking for! Quality was better than expected. Very happy with our choice.